We are available 24 hours a day, 7 days a week, wherever you're based in Dorset, and are fully qualified locksmiths. and Poole area, as well as the whole of Dorset. Wherever you are in Dorset, you can be confident that we'll be able to get to your home or business and help with whatever locksmithing problem you have! We operate in the busy Dorset town of Bournemouth, covering both central Bournemouth and neighbouring areas. Our service is 24/7, with absolutely NO call out fees. We aren't part of a franchise or large national company and don't use a call centre, so you'll speak to one of our experienced locksmiths directly. With no middleman involved, we keep our prices to a minimum. 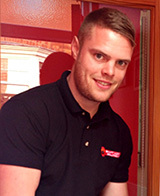 Our aim is get to your business or house in Bournemouth and surrounding areas within half an hour. So, whatever problem you have - your locks needing attention, you're locked out or just need advice or help with anything to do with locks or security, give our quick response locksmiths a call! 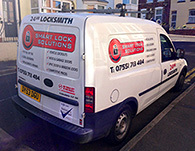 Need a fully qualified Bournemouth locksmith with excellent and friendly service and a very reasonable rates? Just ring Smart Lock Solutions now on 07551 713484. We could not sleep properly as our garage got broken into. We rang James and he came and fully secured our garage with garage door bolts and he also put a new lock into the back door leading into our garage. He showed us how to use everything and didn’t leave till we were confident we knew how to work everything. Lovely young man.